This Demonstration shows how a single factor analysis of variance (ANOVA) works. 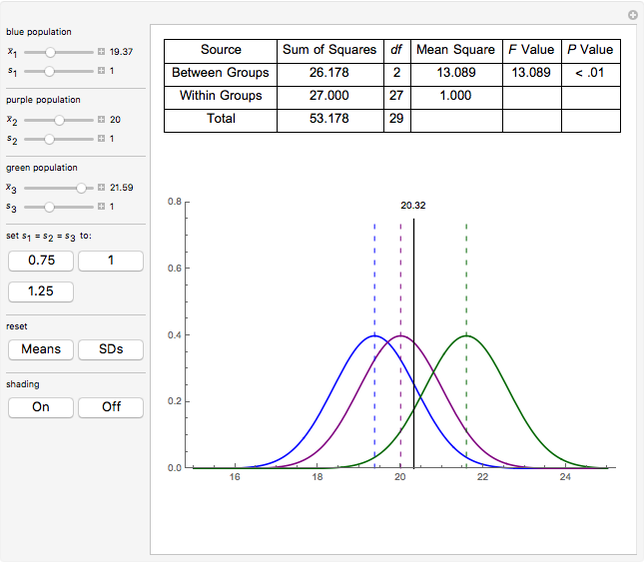 There are three groups, each with sample size 10. You can change the mean or standard deviation of each group separately and observe the changes in the ANOVA table of results. The black line represents the grand mean and its value is at the top of the line. 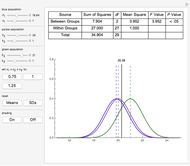 The significance of is provided as , , or based on a regular table for the distribution of at 2 and 27 degrees of freedom. 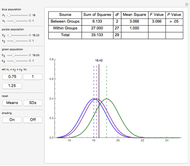 You can set the standard deviations to be equal across the groups at 0.75, 1, and 1.25. The reset buttons set the means or standard deviations back to the default values. The shading buttons turn the shading of the curves on and off. 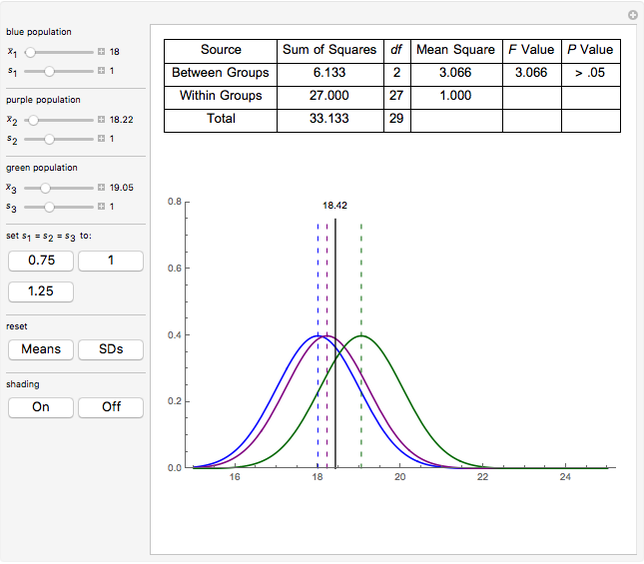 The formulas underlying this Demonstration are based on the method for estimating an ANOVA with summary data as found in . D. A. Larson, "Analysis of Variance with Just Summary Statistics as Input," American Statistician, 46, 1992 pp. 151–152. Scott R. Colwell "Single Factor Analysis of Variance"